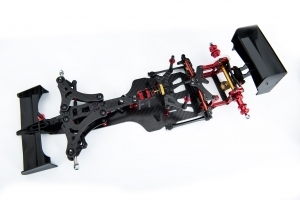 F1-02 1/10th formula car kit, this pan car makes use of a new full-carbon fibre front end with different inserts allowing to admits the caster angle in a 3 degrees to 12 degrees range while the wheel camber can be set in a 1 degree to 2.5 degrees range. 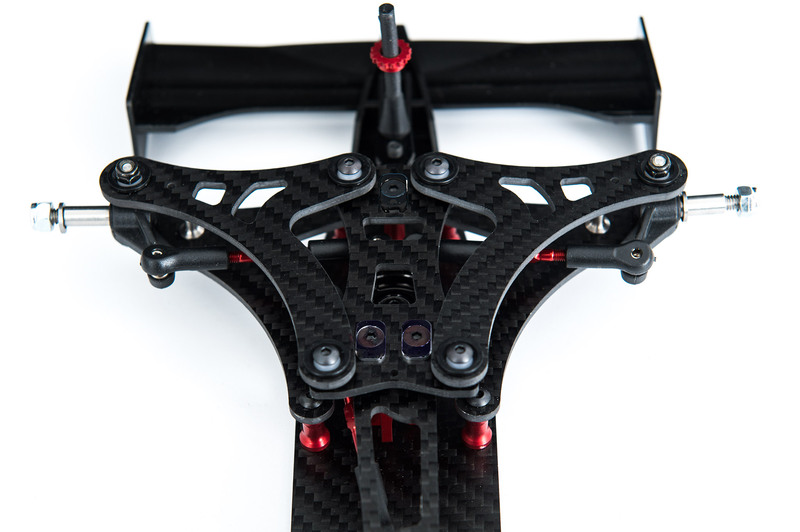 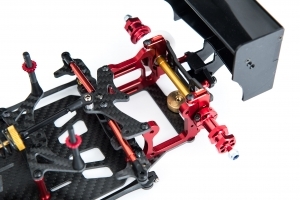 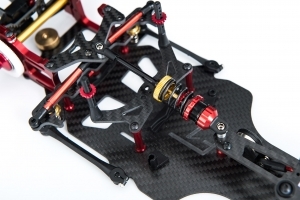 The servo has found a new in-line mounting position while the LiPo battery can be attached in an in-line of transversal position – depending on the track’s traction conditions. 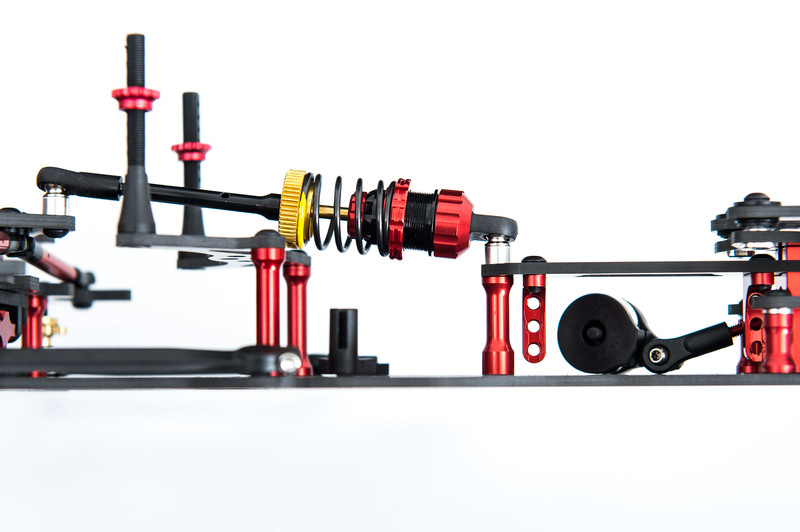 In terms of the suspension the car offers adjustable front downstops thanks to threaded kingpins and a rear weight balance option allows to fine-tune the weight balance. 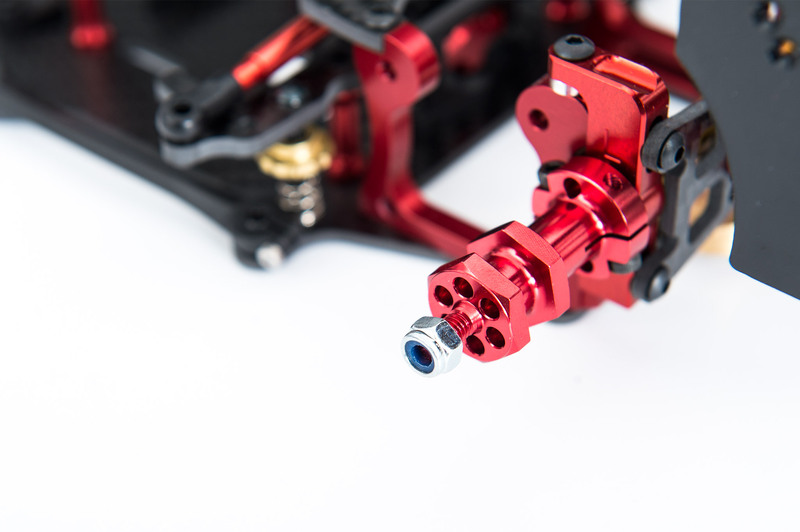 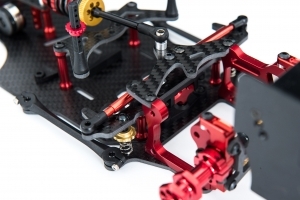 The kit is rounded out by a rear droop adjustment using a dedicated nut on the centre shock and an aluminium lightweight rear axle comes standard in the kit.  The already introduced laser-cut precision shims continue to be used for the adjustment of the front roll centre and rear ride height.